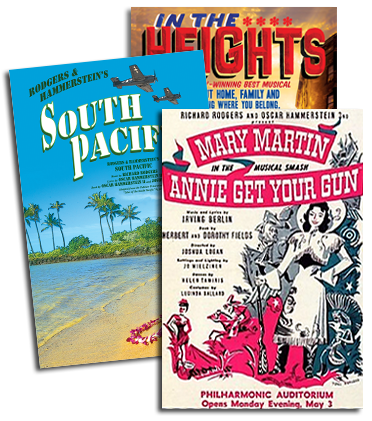 You've seen [Harold] Prince's KISS OF THE SPIDER WOMAN, the revivals of CAROUSEL and GUYS AND DOLLS, TOMMY, LES MISRABLES and at least one show by Andrew Lloyd Webber," intoned Vincent Canby to his New York Times readership on October 9. "Now make room for the daddy of them all." The "Daddy" Canby was referring to is SHOW BOAT, Broadway's newest production of Kern & Hammerstein's 1927 masterpiece based on Edna Ferber's sprawling Mississippi novel that opened at the Gershwin Theatre on October 2 and instantly became the blockbuster hit of the 1993-94 season. Launched with a $1.5 million advertising and promotional blitz that began ten months before its arrival, Broadway's latest SHOW BOAT was bolstered by the largest advance accorded a revival ($12 million), and prefaced by more than a year of standing ovations and critical kudos during its premiere engagement in Toronto. New York critics had attended the world premiere in Toronto and raved. Revisiting SHOW BOAT at the Gershwin one year later, the love affair continued. "What do you say to bliss that is coming your way?" asked John Simon of New York. "You say, 'Hello SHOW BOAT!' and you rush to the box office for tickets. This SHOW BOAT is a dreamboat." Jack Kroll of Newsweek felt that "since it opened last season in Toronto, it's gotten better, tighter; the performances have matured." Admitting that his mixed notice from Toronto last year "turned out to be a minority view," New York Post critic Clive Barnes has now unabashedly moved over to the majority: "It's back, it's opulent, it's surely a hit!" "An impressive human enterprise," wrote Nancy Franklin in The New Yorker, "full of life and full of vision...[SHOW BOAT] has itself become part of the American experience, part of our folklore, with ['Ol' Man River'] occupying a permanent place in our collective unconscious." In USA Today, David Stearns gave SHOW BOAT four stars (out of four) and declared that "Harold Prince's superb revival...is such a gratifying pageant of Jerome Kern music, beautifully considered performances and masterful storytelling, any criticism of it is ungrateful. How often does anybody, anywhere see anything done so right?" With good news in the air, everyone at the October 2 black tie opening was in a celebratory mood, from Drabinsky to his cast and crew of 300 (all of whom were called out on stage by director Prince for one of the largest curtain calls Broadway has ever seen). Among those greeting that curtain call with a rousing standing ovation were representatives of the Kern, Hammerstein and Ferber families, and such star-studded friends and fans as Lauren Bacall, Tony Bennett, Lena Horne, Geoffrey Holder, Raquel Welch, Mary Tyler Moore, Regis Philbin and Ron Silver. The cheers carried over to the Plaza Hotel for one of the most lavish opening night parties in recent memory: more than 2000 guests mingled through five different ballrooms, each of which was themed to a particular setting in the musical's journey, from a New Orleans Dixieland jazzfest to a cool Chicago speakeasy of the roaring '20s, with appropriate musical accompaniment (zyedeco, Dixieland jazz, blues, etc. ), while feasting on hearty Southern Fare prepared by chefs flown in from the region especially for this event. Surveying all this surreal Southern hospitality as the capper of a triumphant Broadway opening night, 60 Minutes host Morley Safer remarked, "You wouldn't live anywhere else on earth, would you?" SHOW BOAT continues its open-ended run at the Gershwin Theatre, New York, where tickets are on sale into late summer; call 212/307-4100 for information. 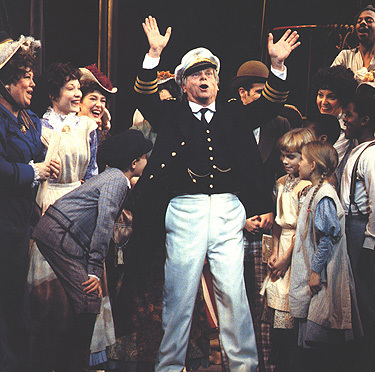 SHOW BOAT is also continuing at the Ford Centre for the Performing Arts in Toronto through June 11 of 1995; call 416/872-2222 for further information. On July 6, the Toronto company will open a twelve-week stand at the Ordway Music Theatre in St. Paul, Minnesota, before transferring to Vancouver in November, where SHOW BOAT will serve as the inaugural production of Livent's new Ford Centre for the Performing Arts. A third company of SHOW BOAT will open at Chicago's Auditorium Theatre in March of 1996.